This week's Tuesday Tallgirl is all about comfort. 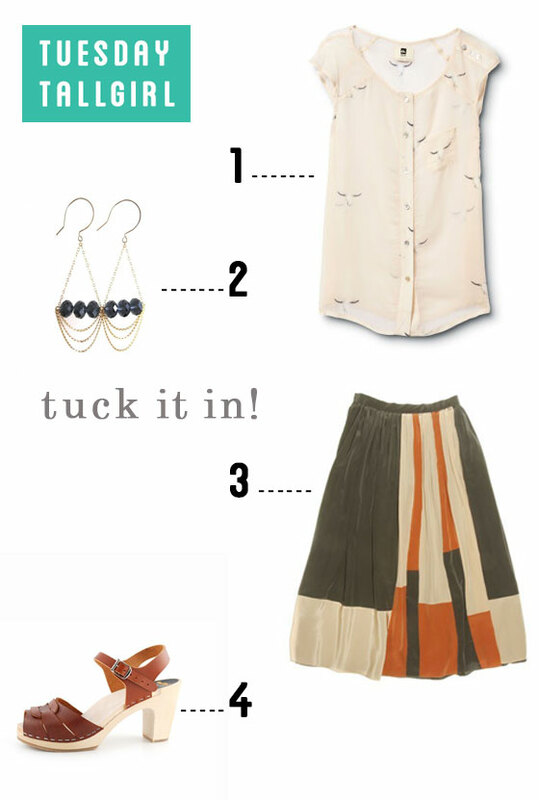 Why not wear a cute midi skirt with a long flowy shirt?! Just tuck that little shirt right in and you'll have a stylish little look for yourself. And in the summer heat, tight is no fun. Make sure your clothes have a bit of air to breathe.